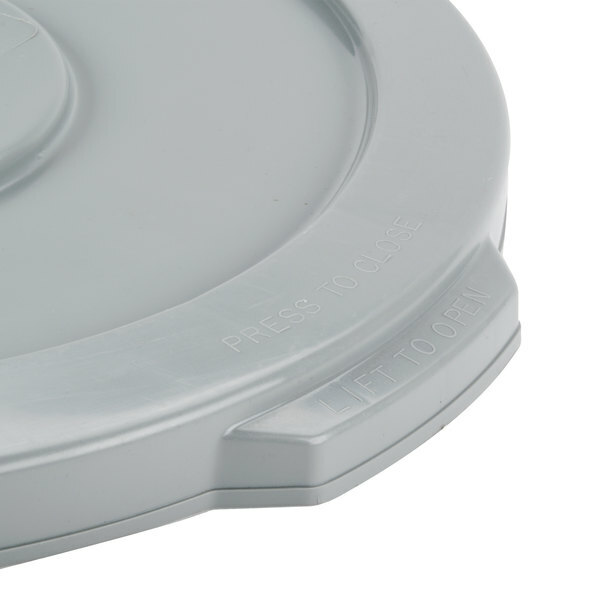 For use with 10 gallon trash cans, this Continental 1002GY Huskee 10 gallon gray trash can lid is essential for minimizing odors and keeping debris from falling into your can.With a temperature range of 0 to 190 degrees Fahrenheit, this is ideal for cold or warm climates, refrigerated storage, and dry food storage. Its heavy-duty plastic construction ensures long-lasting use, while a pair of integrated handles make closing and locking the lid onto its can easier than ever. 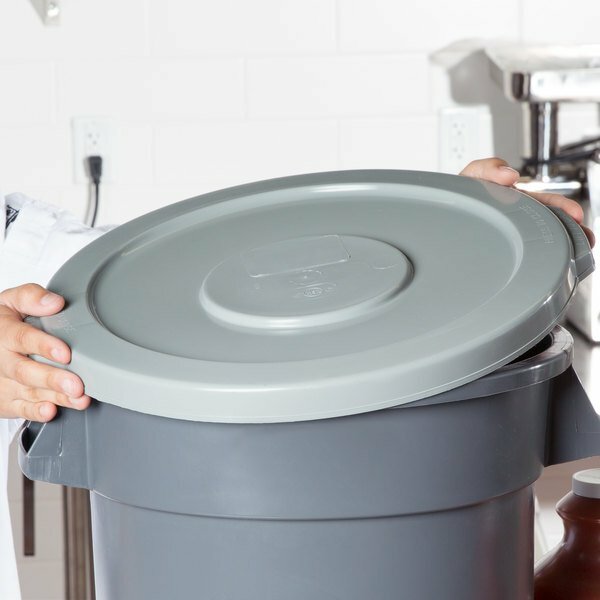 Ideal for both kitchen and janitorial trash cans, this lid will maintain health codes in your facility. In addition to an interlocking design that allows for stacking with other receptacles, a tight fit ensures the can's contents won't fall out, providing your facility with safe disposal and transport from one destination to the next. Boasts NSF standard 2, meaning it meets the minimum food protection and sanitation requirements for materials, design, fabrication, construction, and performance of food handling and processing equipment in bakeries, cafeterias, kitchens, and pantry units. This is OSHA compliant. We use this lid to make the 10 gallon Rubbermaid gray trash can more sanitary. This lid is of different brand but works with it. These trash can lids do the job and fit perfectly. They match well with the cans too and are a great price compared to others! 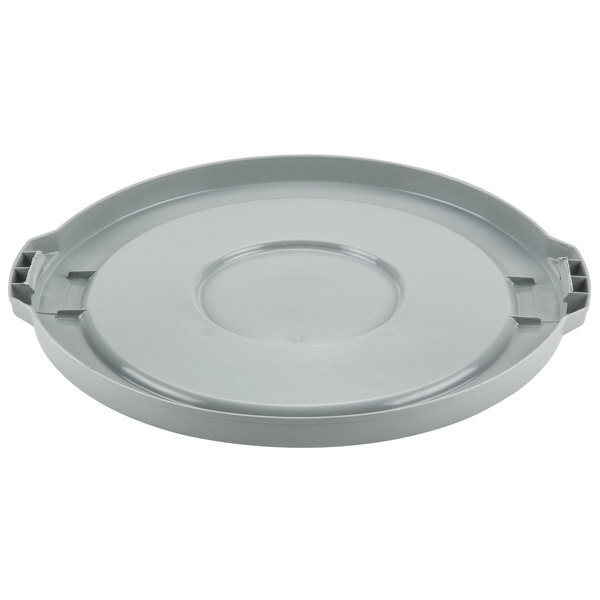 Continental Huskee 10 Gallon Gray Trash Can Lid is a great product. Matches nicely with the same brand 10 gallon can. We give it 4 stars! Purchase this 10 gal trash lid to fit your 10 gallon trash cans. 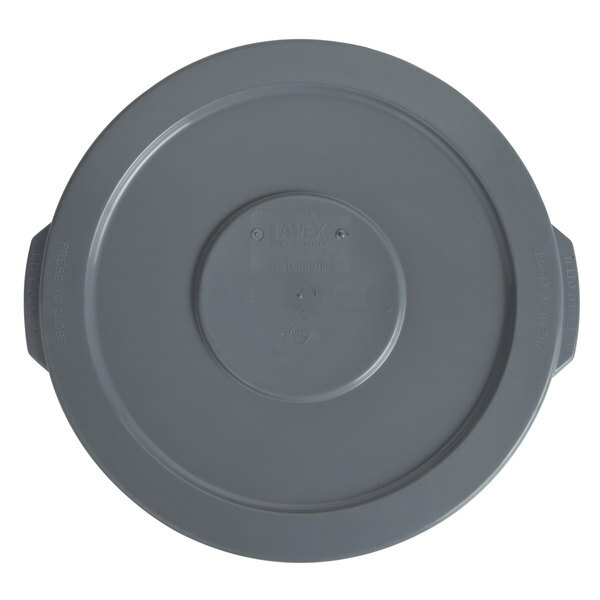 This is a great durable lid that features durable plastic quality in grey. No issues here. It fits snugly. The color grey does not match the corresponding can I bought, but I can live with that. The price is good here too. 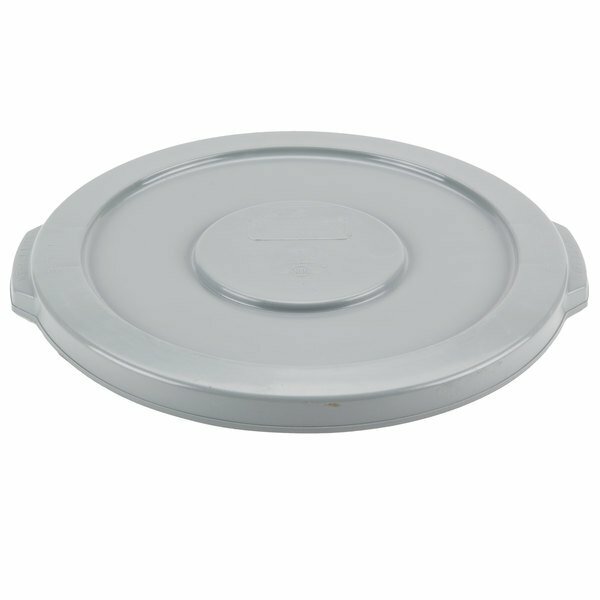 Check out this Lavex Janitorial 10 gallon gray round commercial trash can lid instead! It boasts a tight fit to ensure the can's contents won't fall out or come into contact with airborne contaminants, providing your facility with safe disposal and transport from one destination to the next. 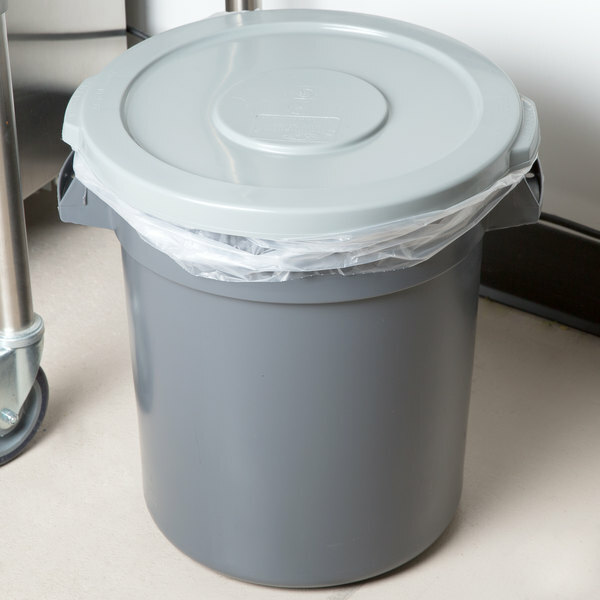 Ideal for both kitchen and janitorial trash cans, this lid will maintain health codes in your facility. Plus, it is made with food safe materials for use in prep or storage applications in your commercial kitchen.